The Bahco 30-Inch Ergo Bow Saw is a bow saw that is designed to cut through lumber and dry wood. Measuring 30 inches in length, it is ideal for any demanding or tough environment. 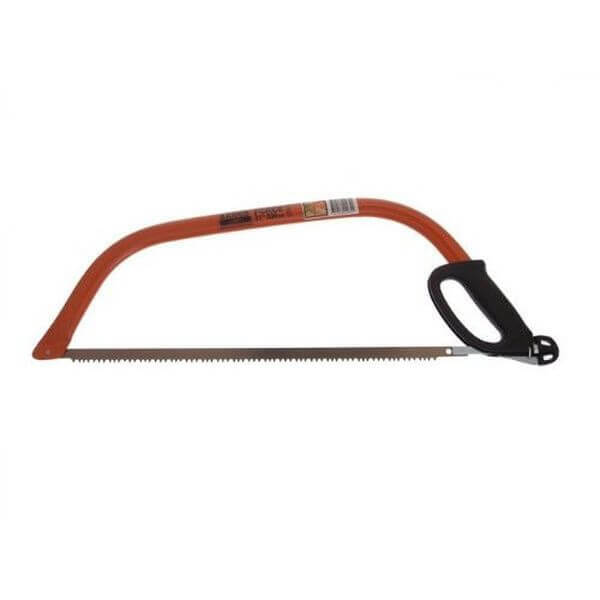 This saw is made out of high quality steel tubing and is ultra lightweight. 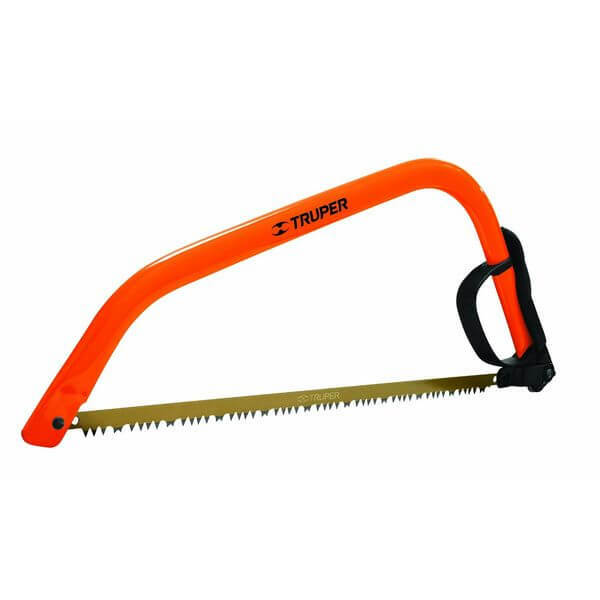 The Truper 21-Inch Steel Handle Bow Saw is the ideal saw to use for any larger branches you need to get rid of. It features a cam lever tension system to keep the blade in place and a comfortable handle that makes using the saw a breeze. 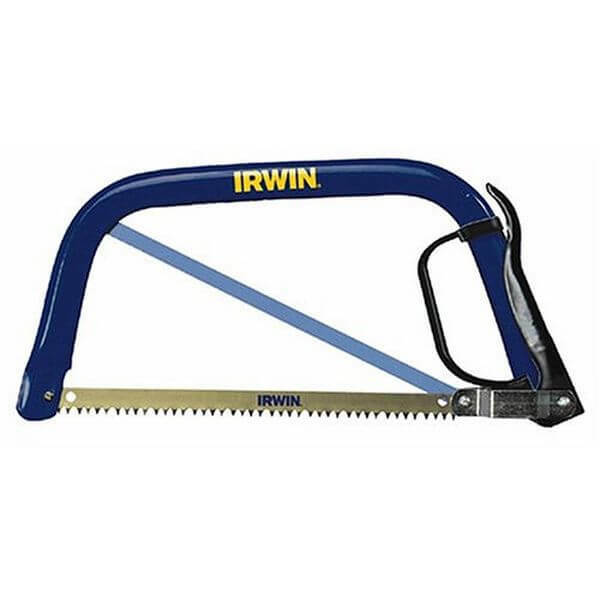 The Irwin 12-Inch Combi-Saw is a 12-inch long saw that offers you the ability to cut both wood and metal. There is a knuckle guard to keep your hands safe, and the welded frame offers total strength and stability to keep you cutting materials safely. Get your work done fast with the Mintcraft 21-Inch Bow Saw. 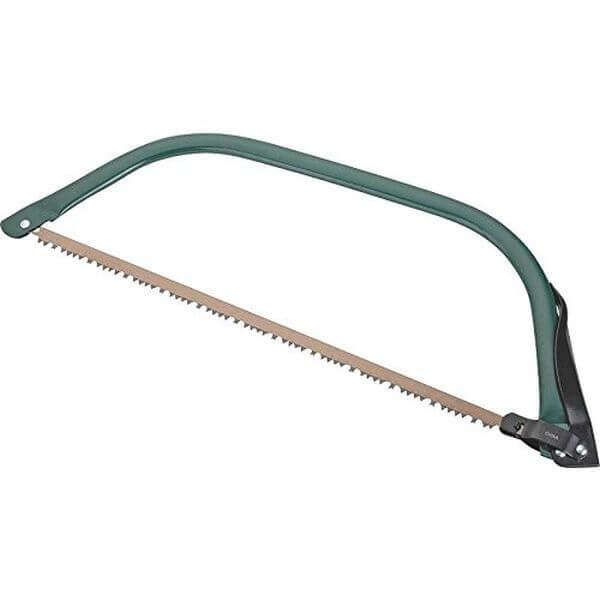 This saw features normal styles of teeth designed to cut through any thick branch and complete with a hot point finished blade. It has a round coated steel tube that offers plenty of support and stability. 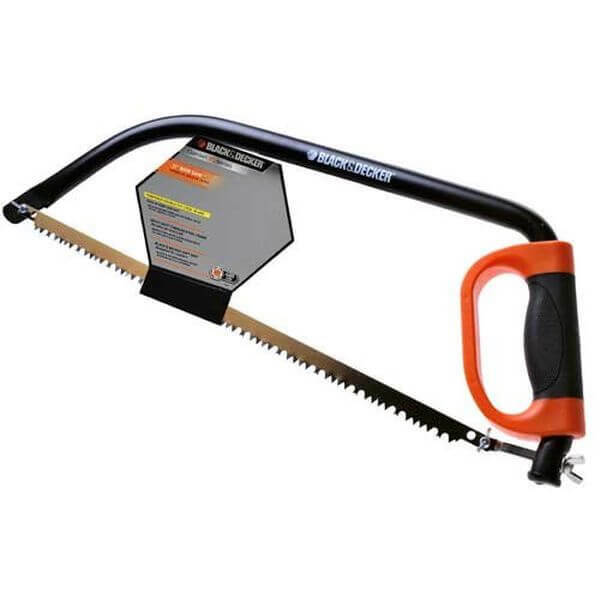 The Black & Decker 21-Inch Bow Saw is a heavy-duty saw made out of a tubular steel frame. 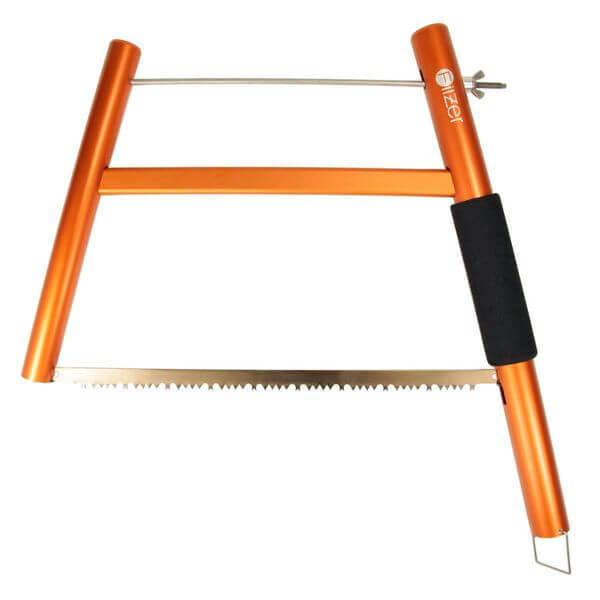 The tempered double cut steel blade offers plenty of cutting power on thick branches. It measures around 21 inches in length and can absorb vibration and shock alike. The Filzer Buckster Bow Saw offers you the ability to cut through any log as big as 13 inches in diameter. It is made using a durable aluminum frame design as well as a stainless steel tensioning system that optimizes the placement of the blade to ensure a perfect cut.